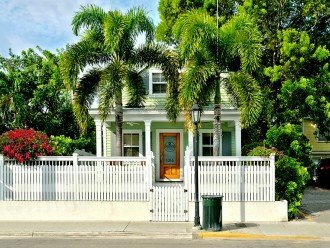 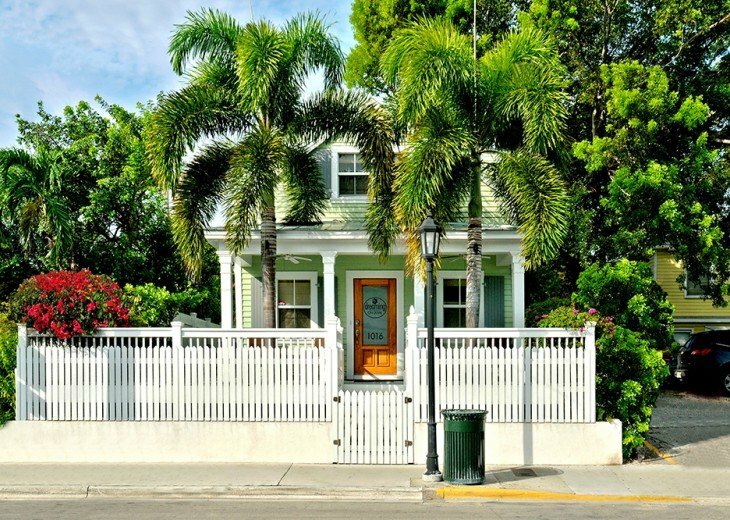 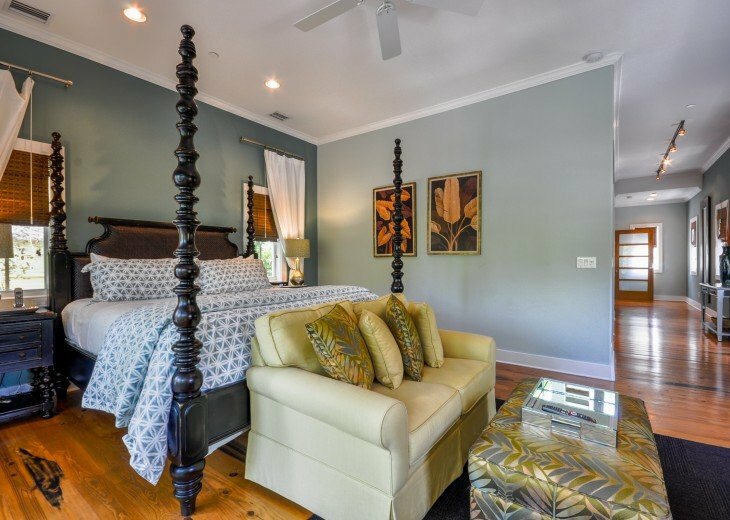 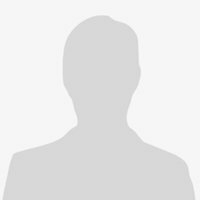 Luxury on Duval Street in historic Key West? 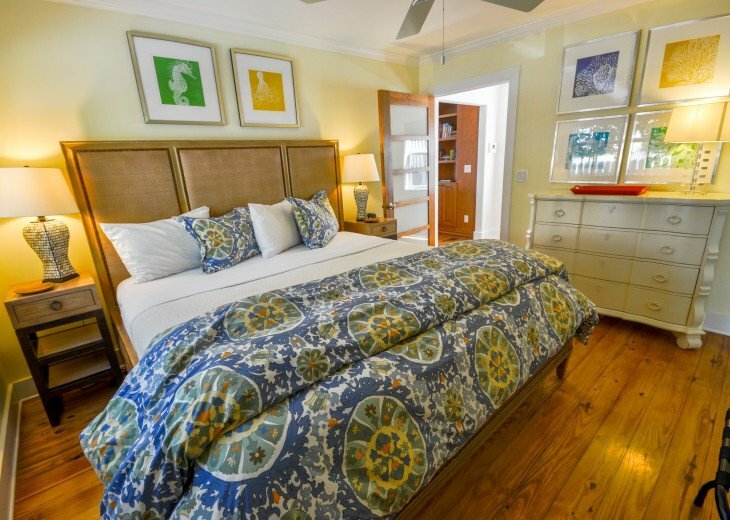 Luxury is not a word most people associate with Duval Street... until you look at Dreaming On Duval! 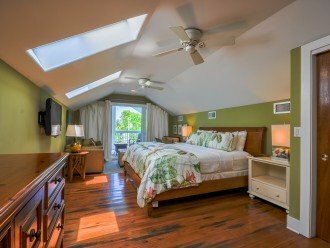 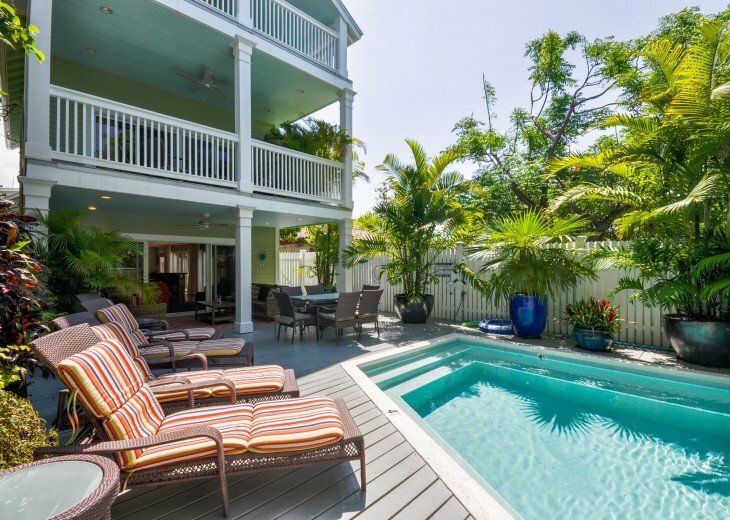 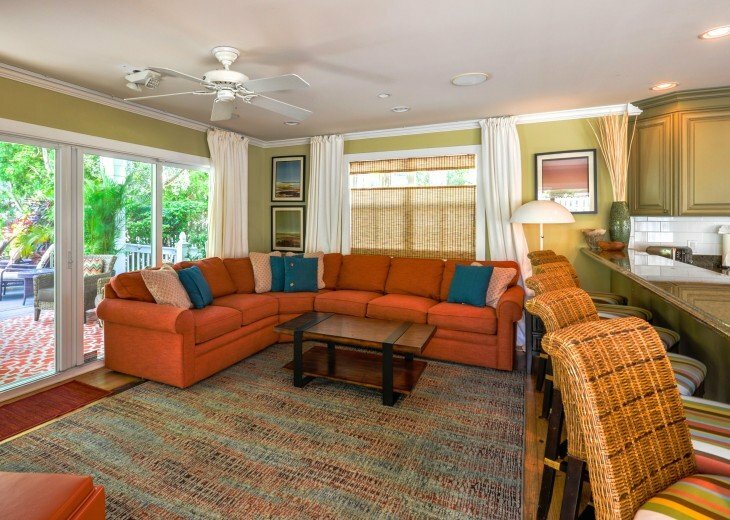 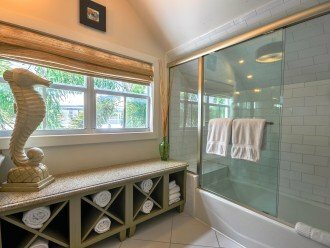 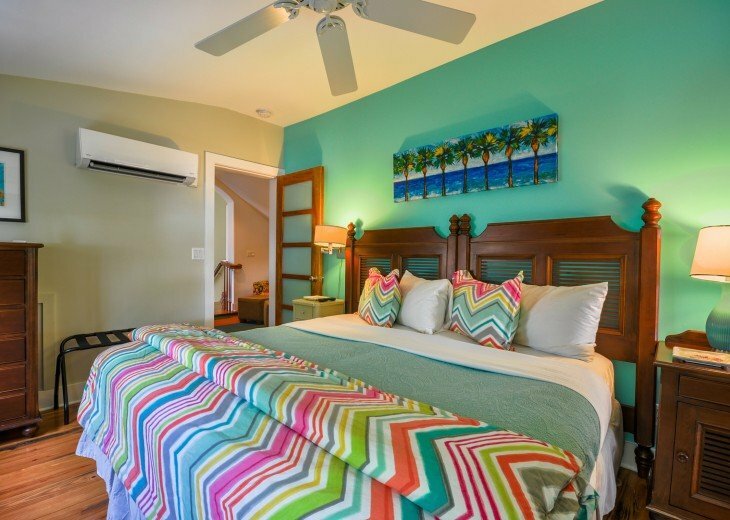 There are very few private homes on this famous street, let alone a single-family, free-standing vacation rental that is just steps away from everything Key West has to offer, and accommodates up to 10 friends & family members! 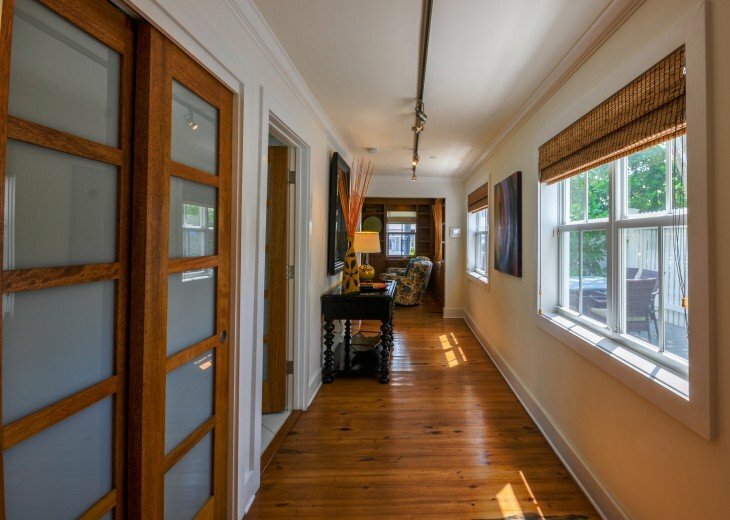 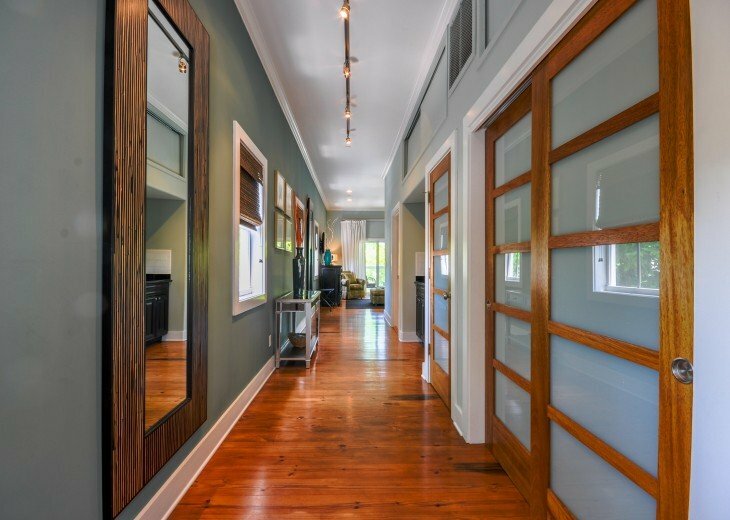 This show-stopper of a home has even been featured on an episode of HGTV's House Hunters. 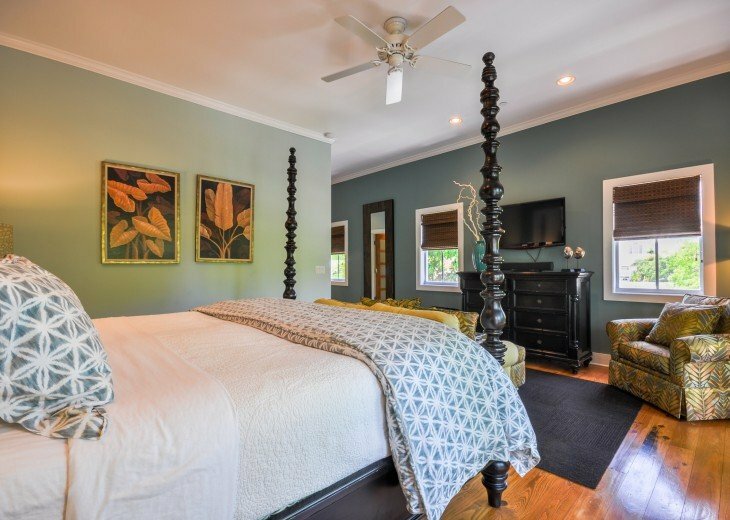 Dreaming on Duval features five bedrooms and four baths on three floors with approximately 4,000 square feet of living space. 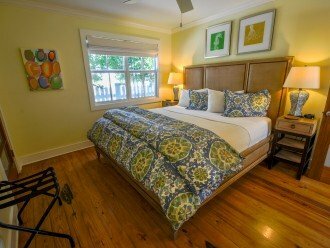 It is quite perfect for family reunions, best friend getaways, and wedding parties. 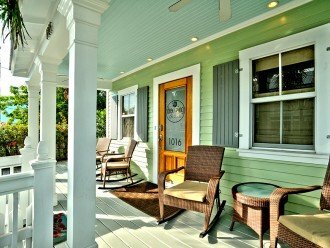 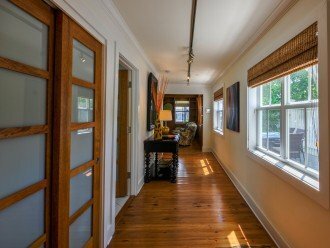 Just south of Truman Avenue with a front porch overlooking Duval Street (hello, people watching! 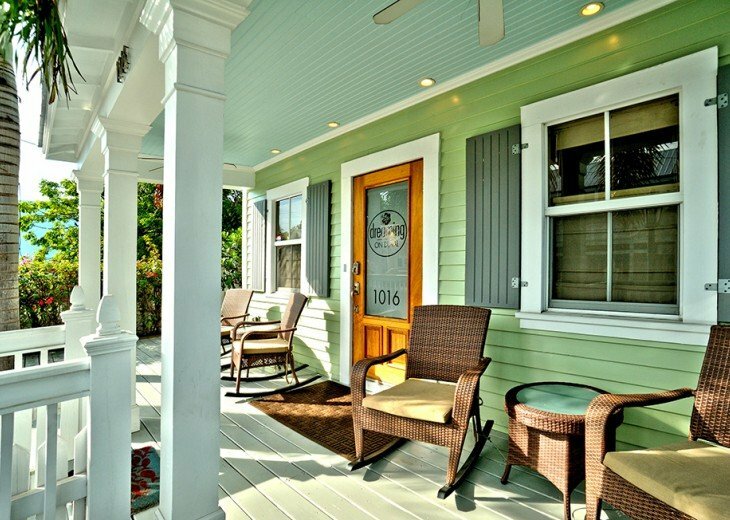 ), this is the location you have dreamed about. 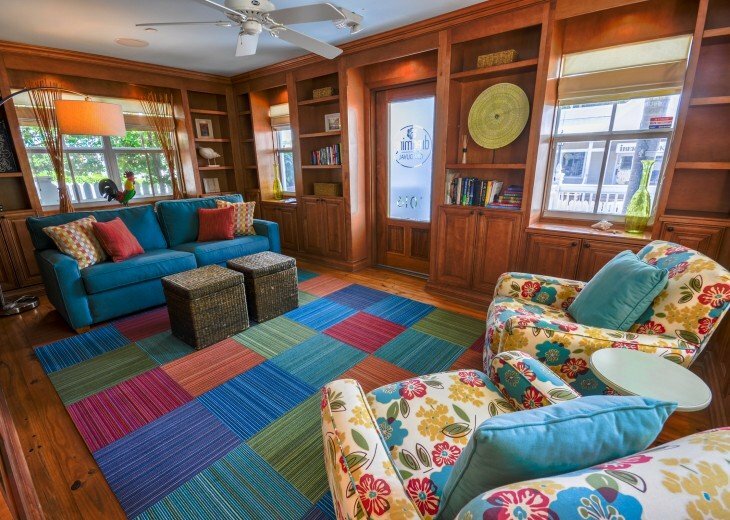 Entering the home through a majestic mahogany door, you come upon the library lined with custom cabinetry, which is a perfect place to relax with a book of your choice. 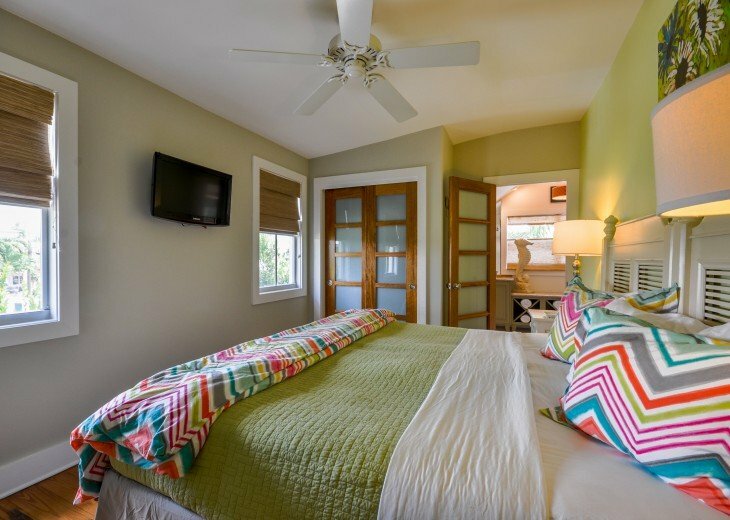 There is one bedroom on the first floor with a king bed and bath en-suite. 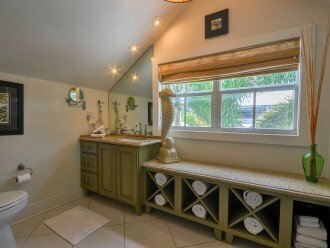 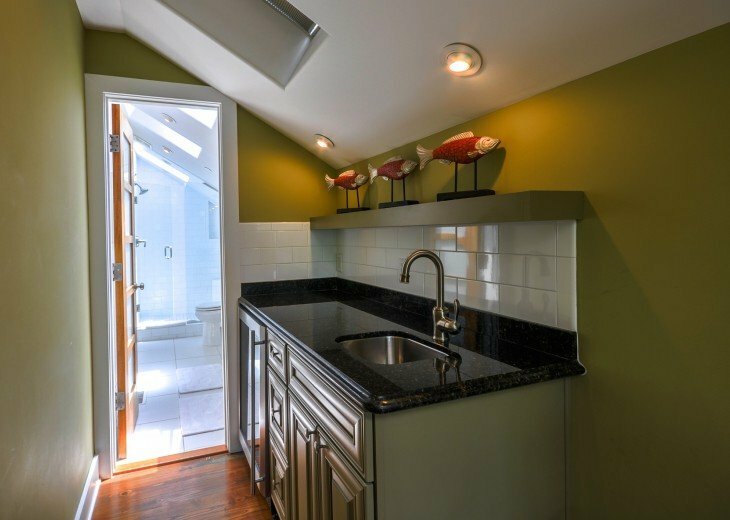 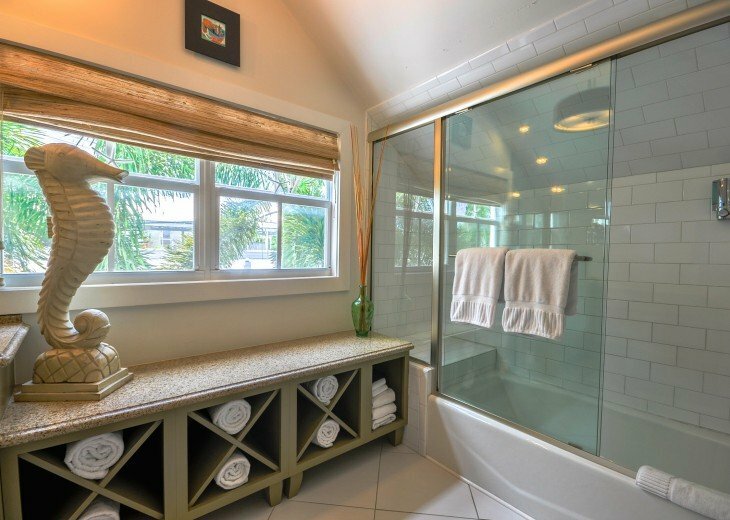 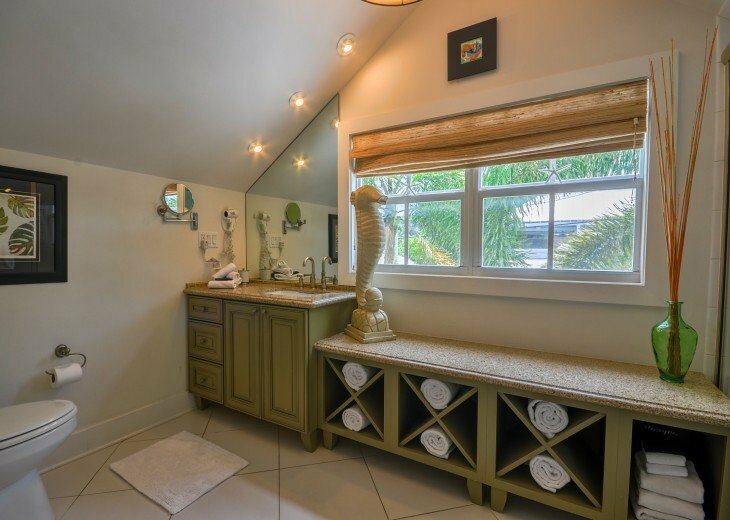 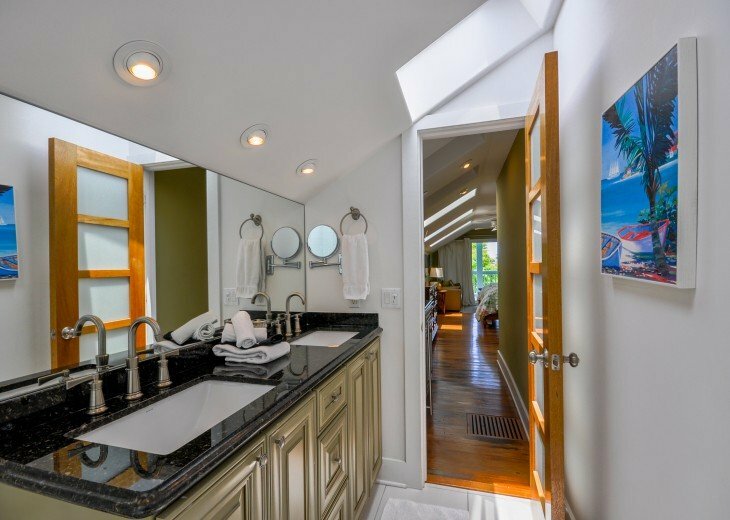 This bath doubles as the powder room for the first floor. 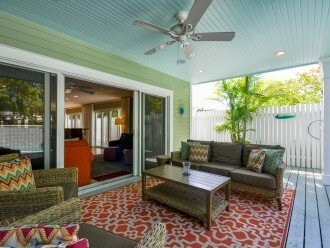 From there, you enter the heart of the home facing to the backyard. 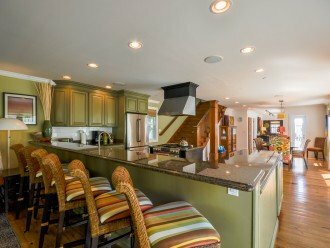 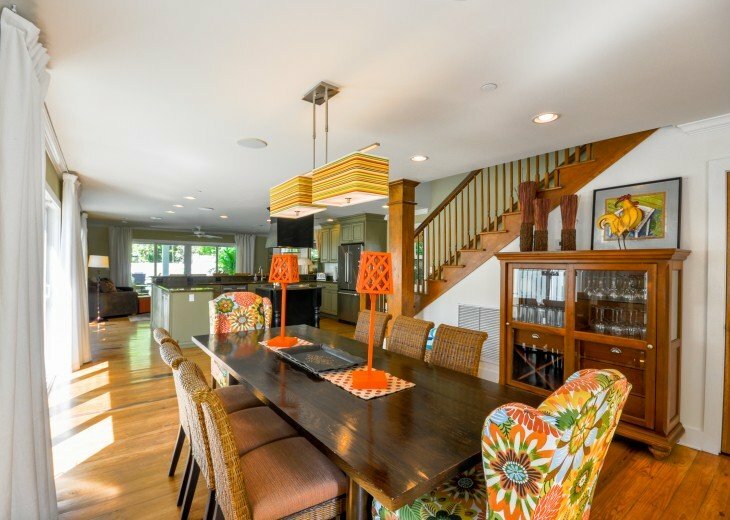 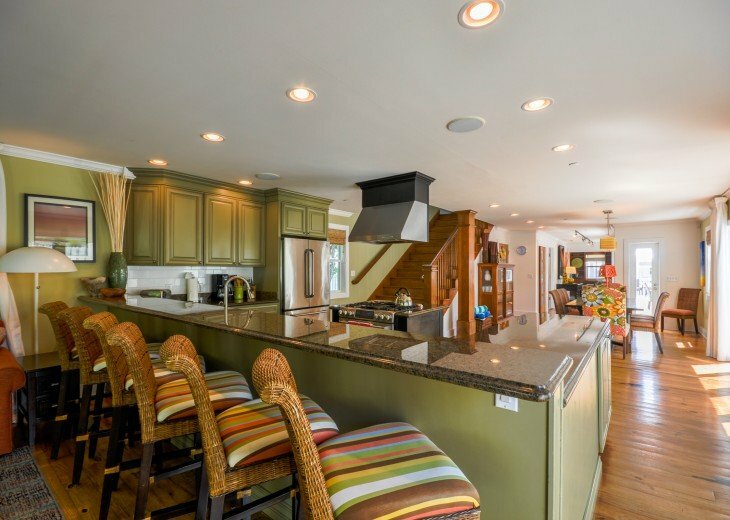 The open concept design of the kitchen, dining and living room invites guests to gather and socialize. 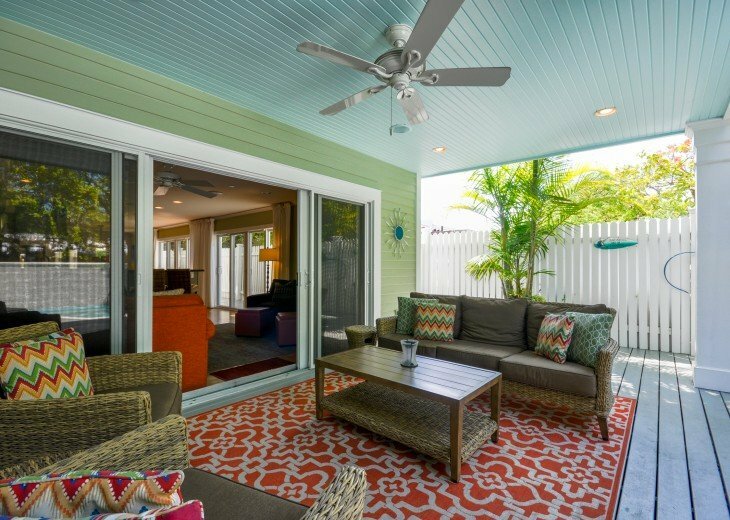 This space opens to a large porch and deck area by the "conversation" pool with a soothing waterfall feature. 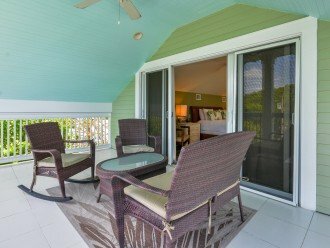 There's room for everyone to play in the heated pool, soaking up the sun and lounging in the comfortable chairs. 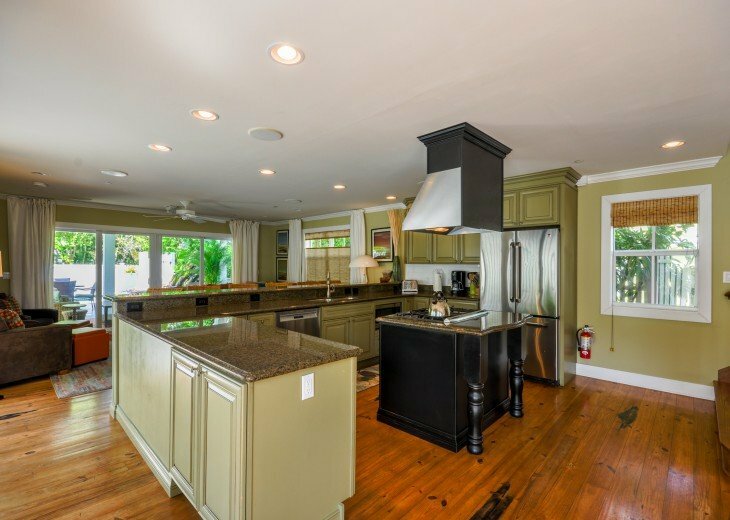 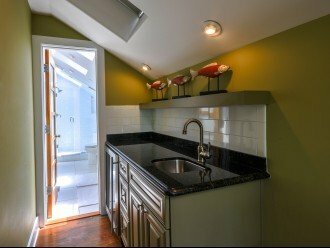 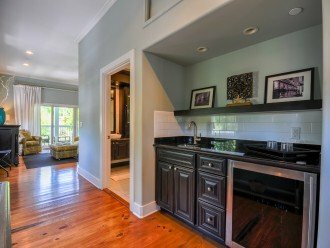 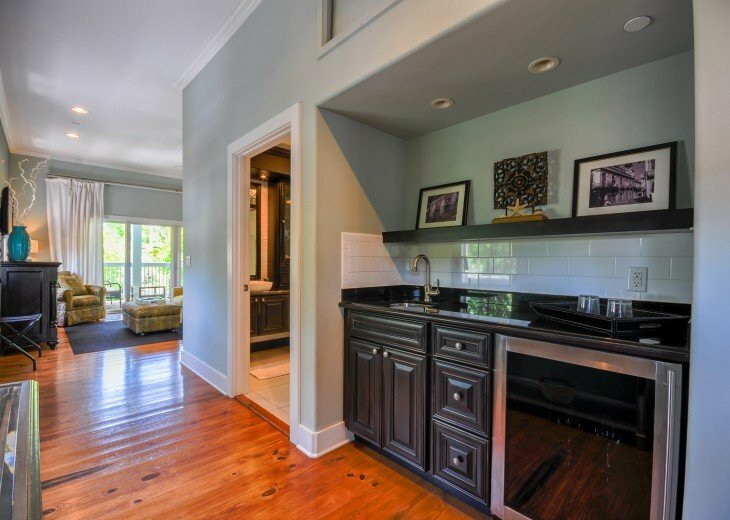 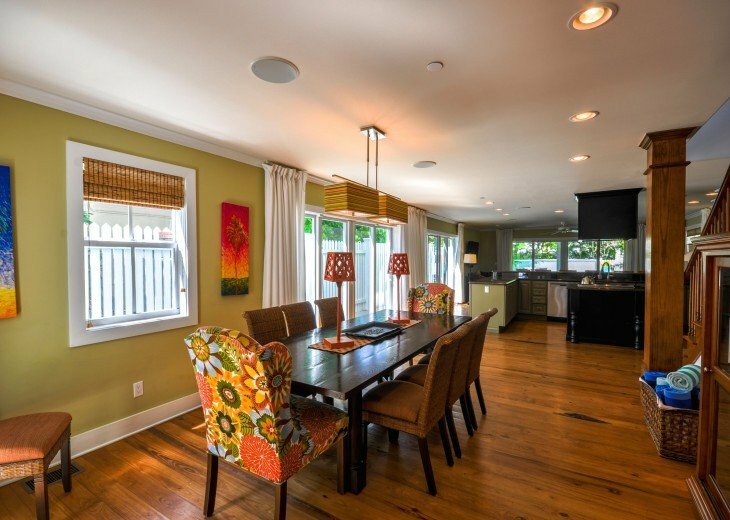 The kitchen is completely equipped with high end appliances and dish ware. 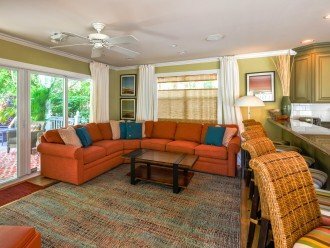 The living room has a large flat screen TV and stereo system with speakers throughout the first floor and includes an iPod jack and mp3 player. 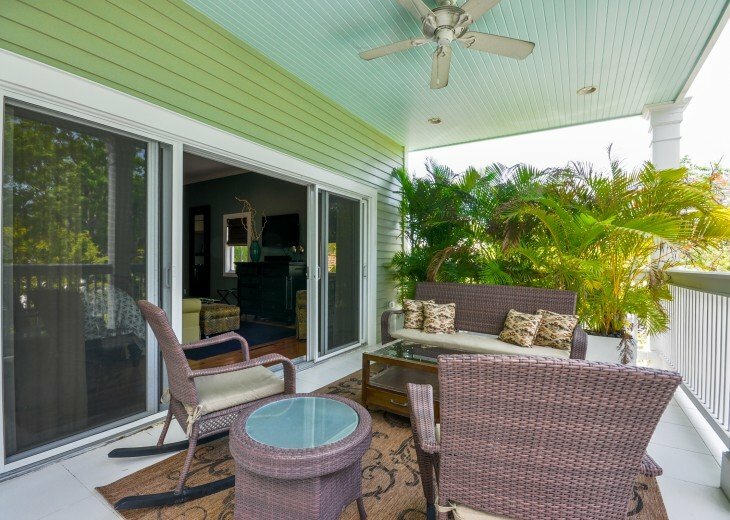 Plan a nice dinner in and enjoy the dining table for up to ten (twelve if you squeeze) or choose to sit outside on the front or back patios for dining al fresco. 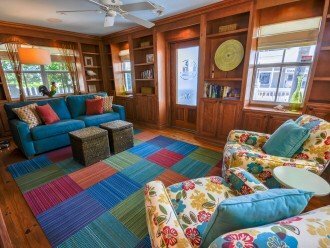 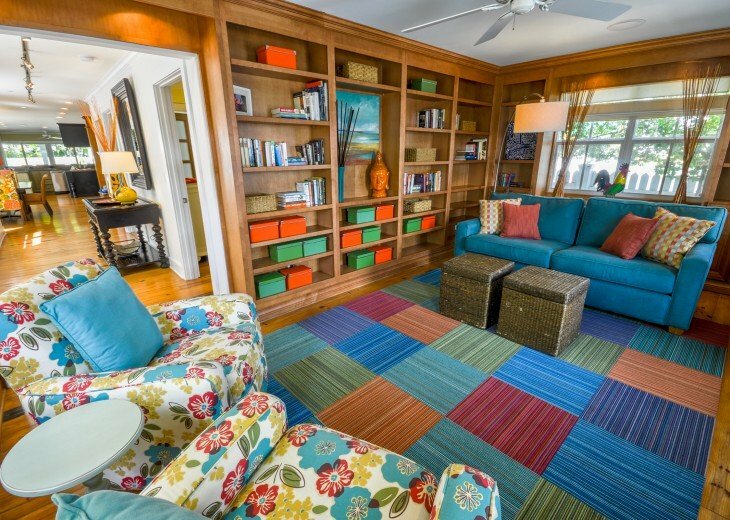 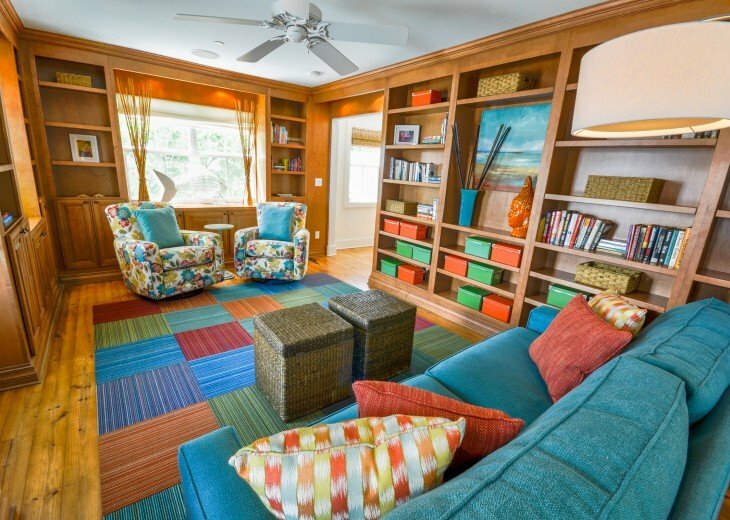 A grand staircase leads up to the second floor and a computer/lounge area that is perfect for reading a book, surfing the web or uploading photos of your vacation. 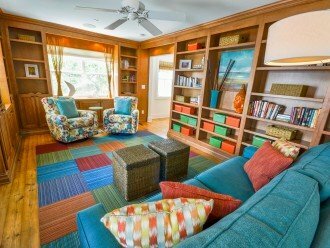 This is also a great place to occupy the kids with a DVD. 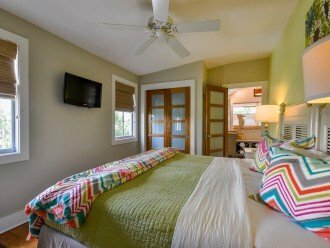 Through the lounge you enter two similar bedrooms. 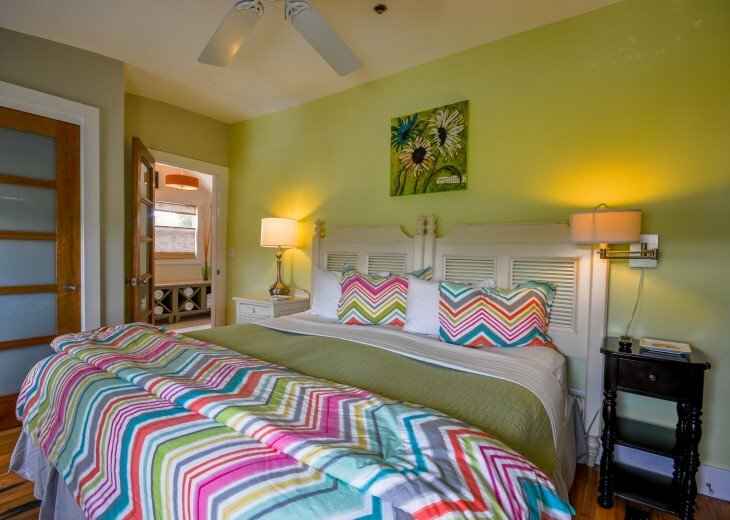 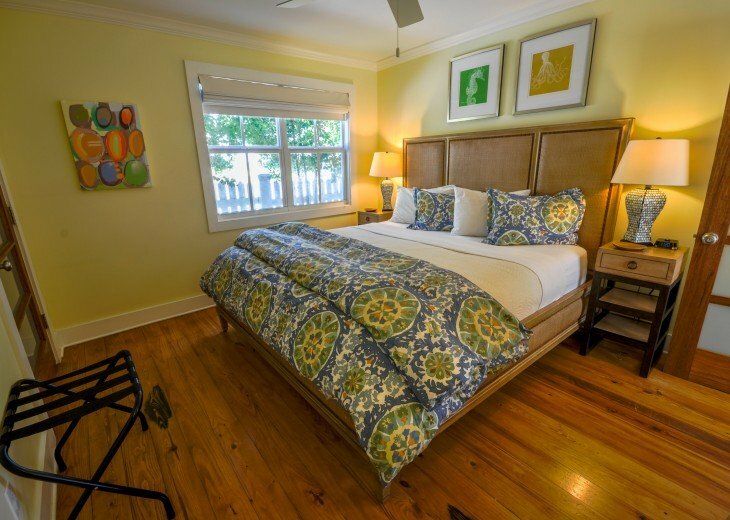 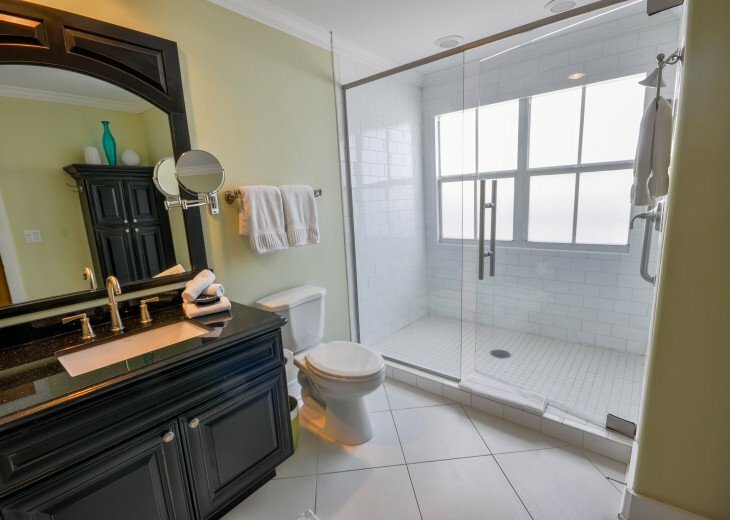 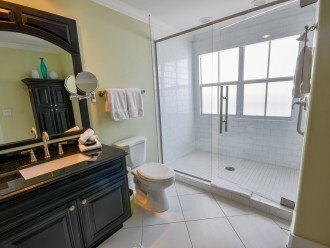 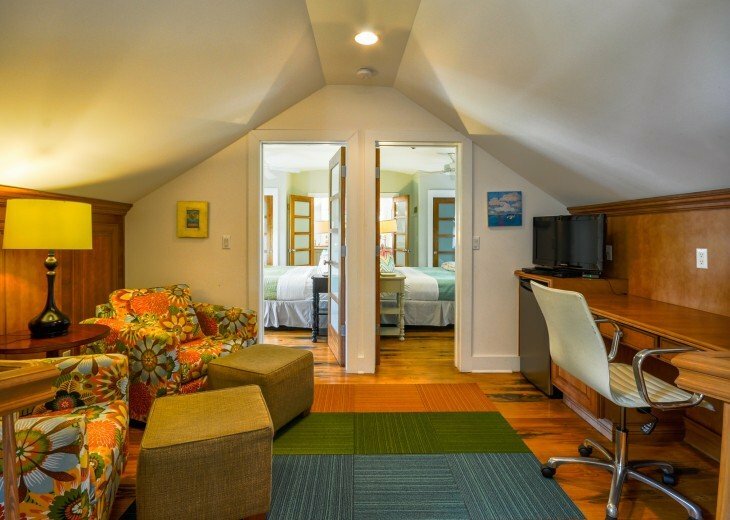 Walk through the bedrooms to the Jack and Jill bath with a view of Duval Street. 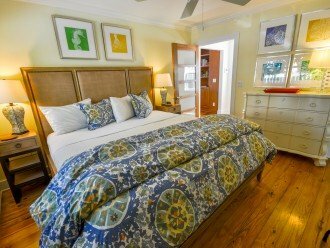 These bedrooms offer versatility with two twin beds in each room that can easily be combined into king beds for couples. 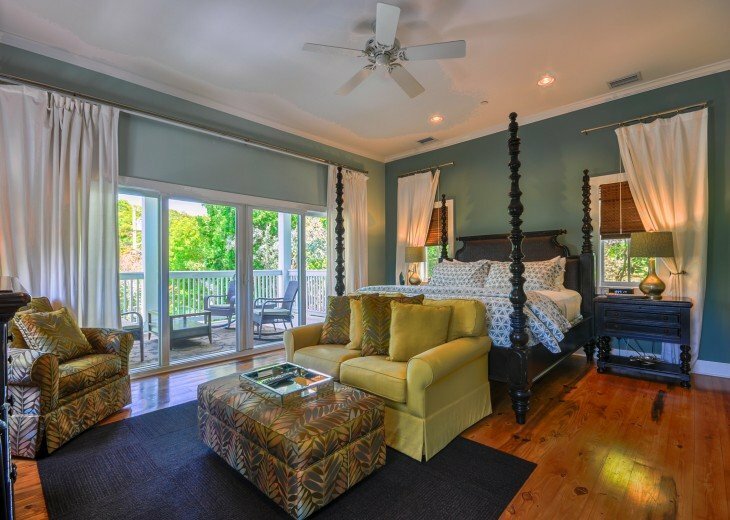 Up a flight of stairs, the master suite feels like you are stepping into your own personal spa. 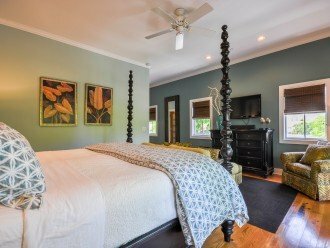 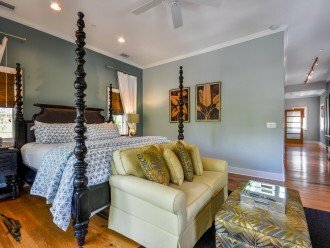 The room is washed in soothing blues and greens and has a magnificent four poster king bed at the center and a sitting area to read, relax or enjoy a movie. 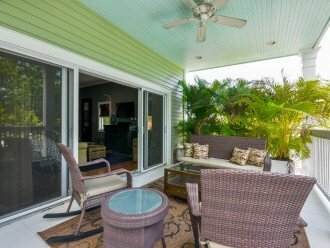 Step out the sliding doors to a large private deck overlooking the pool area. 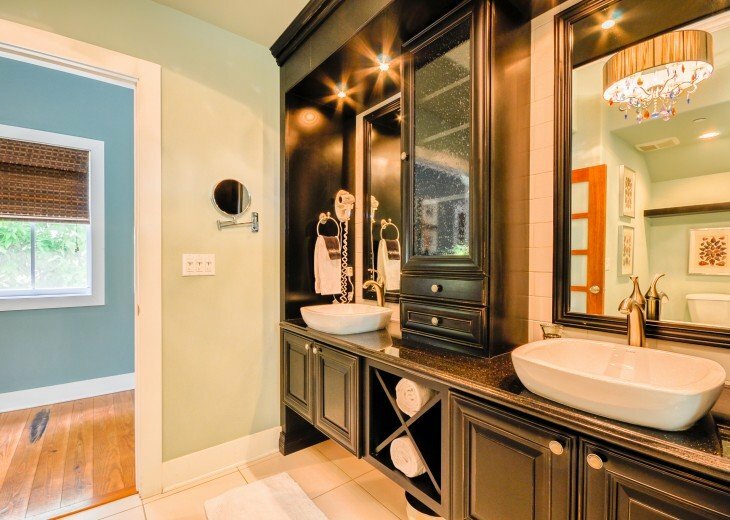 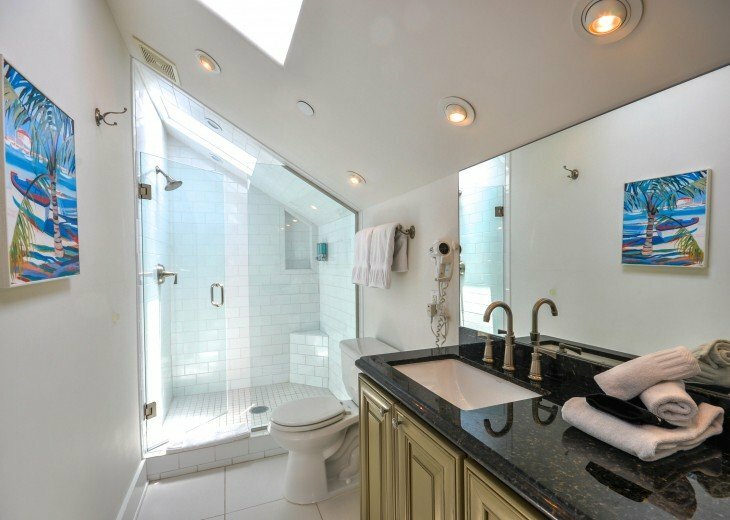 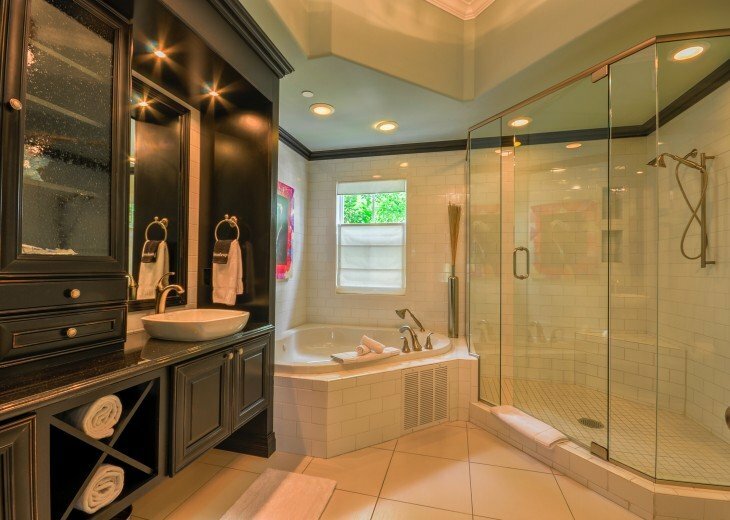 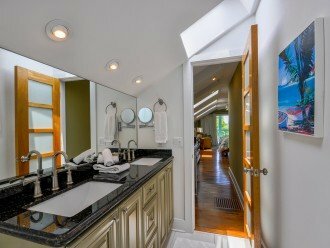 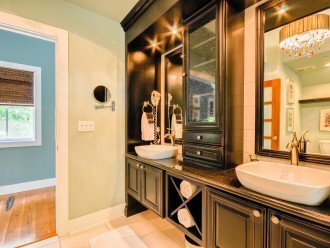 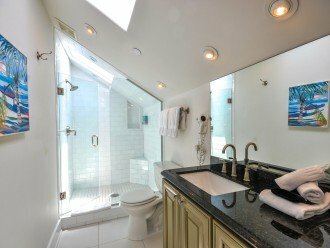 The master bath is a true luxury with it's dual sinks, dramatic chandelier and large walk-in shower and spa tub. 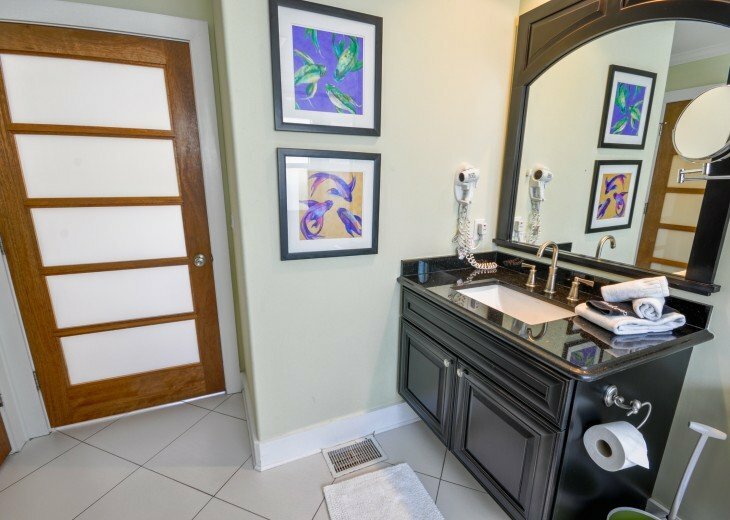 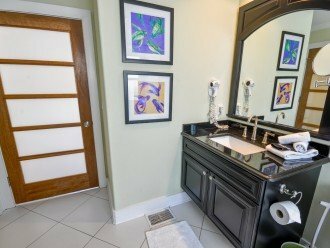 If the second floor master isn't your choice, then make the final journey up to the third floor of the home to a junior master suite complete with wet bar, sitting area, private bath and king bed. 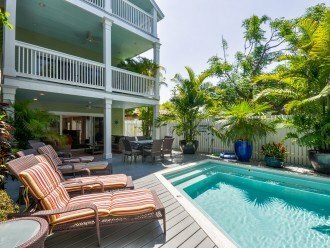 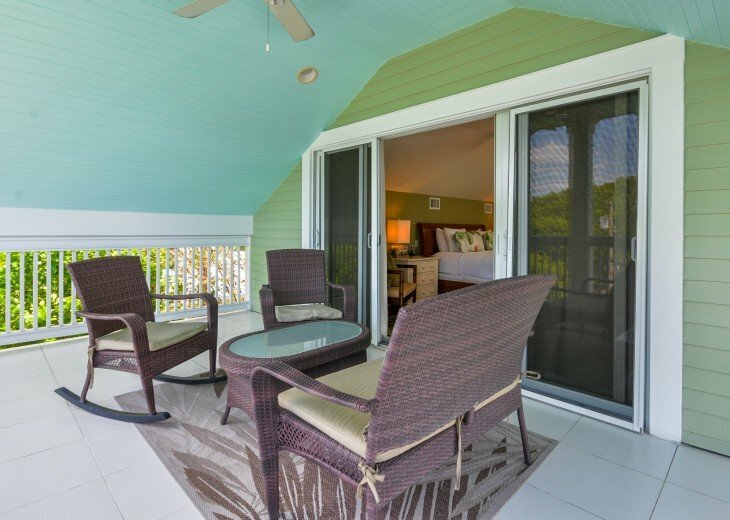 The third level secluded porch overlooks the pool and offers a glimpse of an ocean view and several historic properties, including the Key West Lighthouse. 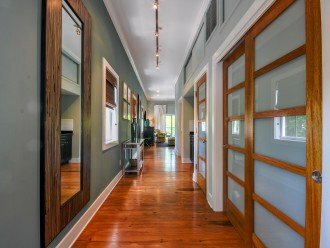 Combining all of the attributes of space, privacy, amenities and location, this home is a one-of-a-kind marvel. 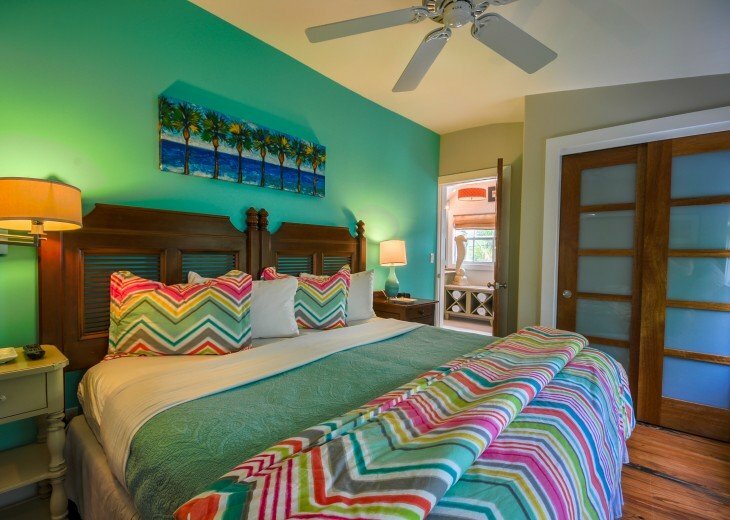 Make this the vacation you have always dreamed about at Dreaming on Duval! 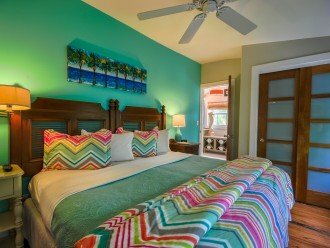 Dreaming on Duval can also be rented as a 3 or 4 bedroom option, if available and booked within 30 days of your arrival date. 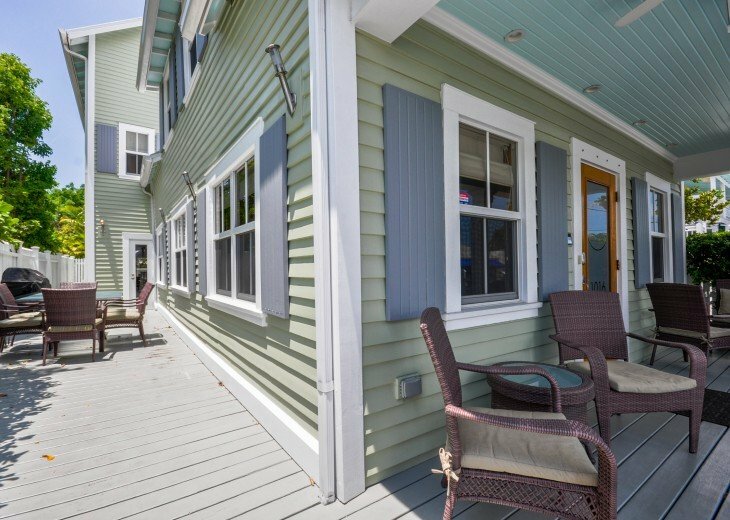 Please contact our office for more details. 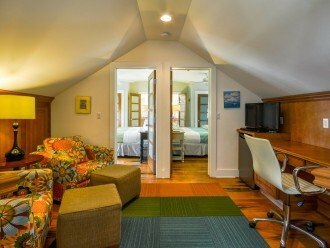 Max occupancy is 12 persons.